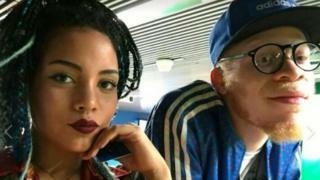 A London hip hop artist missing in Rio de Janeiro may have "thrown himself into the sea", police in Brazil said. Kenny Mukendi, 22, also known as Kenny Vulcan, disappeared on 13 April after telling his girlfriend he was coming home from a recording studio. Police said his backpack containing his wallet, phone and passport was found by surfers the following day, ruling out suspicions of violent crime. Searches for his body were conducted for seven days, ending on Thursday. According to inspector Elen Souto, investigations led to the conclusion that the rapper from Woolwich "threw himself into the sea from a viewpoint in western Rio". Ms Souto said Mr Mukendi's family members reported that he had a history of depression. His father and uncle were in Rio and had been following the investigations, she added. Mr Mukendi's cousin, Rais Bona Mapianda, said the musician's girlfriend became worried when she noticed his Snapchat, Instagram and Facebook accounts had all disappeared. More than £2,500 has been raised via a fundraising page to help Mr Mukendi's family with the search.